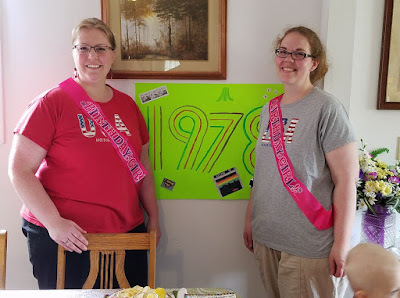 This year, I decided to list a family favorite recipe from the blog (with any adaptions that we use regularly, if applicable) on the fourth Friday or Saturday of every month. This recipe will be one that we make quite often and that we all enjoy greatly. This post is the sixth Family Favorites recipe of 2018. 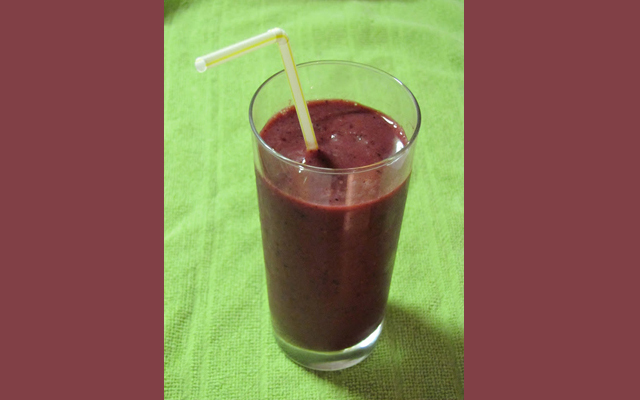 This month's Family Favorite recipe is Fruit Smoothies. This recipe is basically a re-share of my original Fruit Smoothies recipe with a few more tips and tricks included. We've recently started making this recipe again frequently, and probably will throughout the summer (possibly daily, I'll wager, when it gets into July and August especially). This is one of those recipes you can use year-round, but will generally use mainly in the summer. It is super easy with very few ingredients, very customizable, is better for you than ice cream or popsicles, and is top 8 free (as long as all of your ingredients are)! You'll be able to find a combination that everyone in the family will love, I promise! such as orange, grape, cranberry, apple, pineapple, etc. such as honey, maple syrup, sugar, agave, artificial sweetener, etc. 1. Place desired amount (about a cup per person, generally) frozen (yes, it MUST be frozen) fruit in a blender. Hidden Greens: If you want to sneak some greens (kale, spinach, etc.) into your smoothie, you can do that, too. Just put them in with your frozen fruit. Start off with a small amount and add more as you desire. Add Some Herbs/Spices: If you like thyme, mint, rosemary, cinnamon or other spices/herbs with your fruit, feel free to add some to your smoothie mix with the frozen fruit. I'd start with a small amount, blend well, taste, and then add more as desired. That's all there is to it! Super easy, extremely customizable, good for you, and great for a hot summer day. I hope you will give these smoothies a try and that they become a family favorite for you, too! On July 1st, I start a new monthly feature called "Essential Oils 101 with Jess" that will go live the 1st of every month! 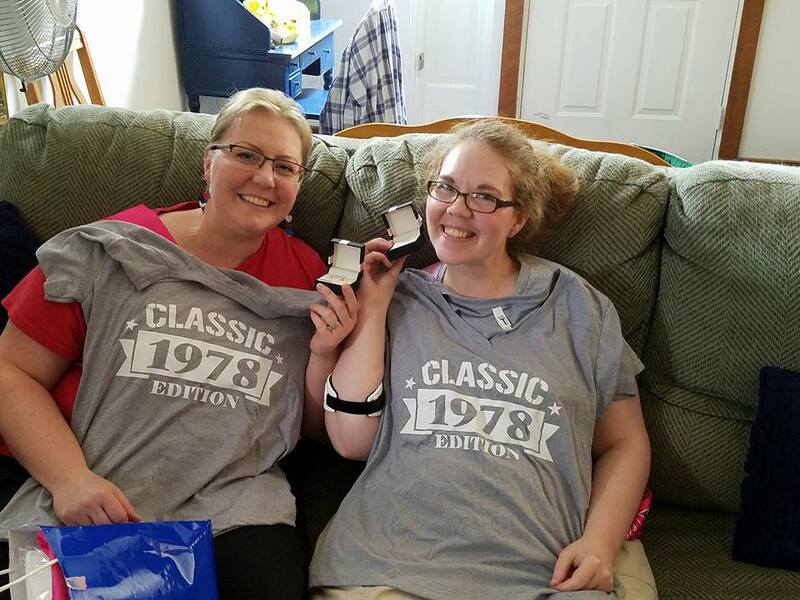 I am featuring a guest blogger, Jess, who blogs over at Essentially Balanced. 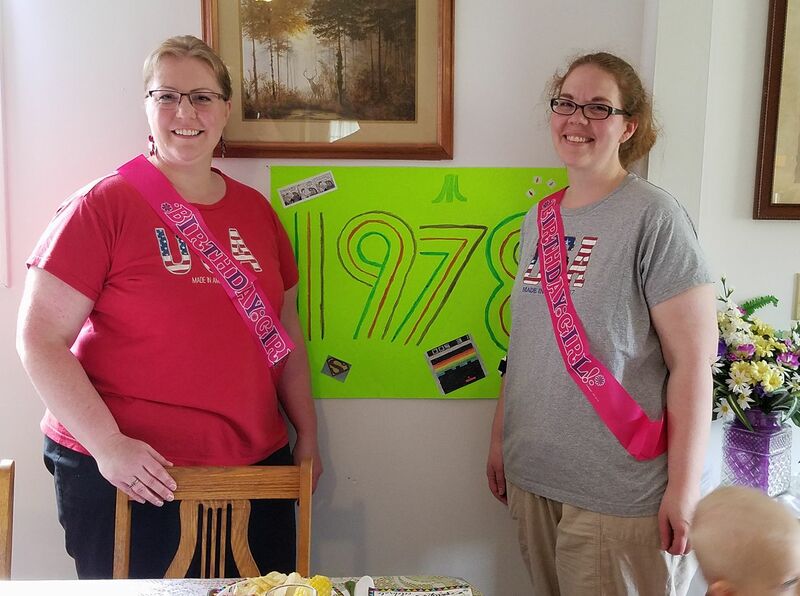 If you've ever been curious about essential oils and are wondering if they are right for you and yours, you won't want to miss this monthly feature! Today's recipe is one that was an instant hit with the family. 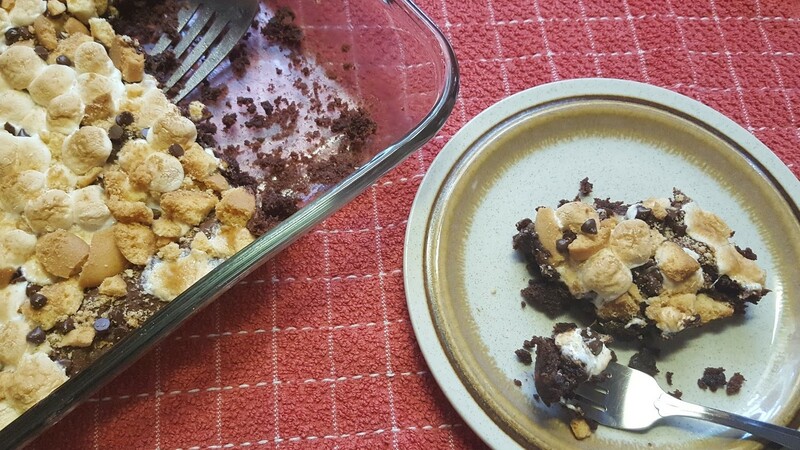 If you love s'mores, but aren't a fan of camping or campfires, this recipe is for you! 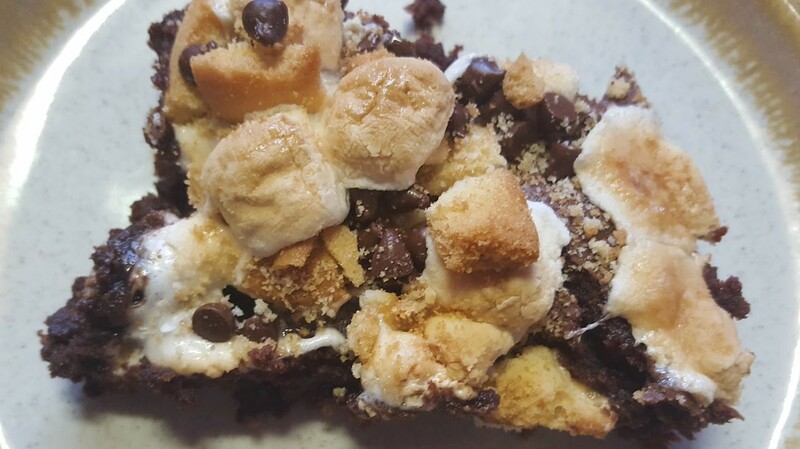 It has all the chocolate-y goodness you could want along with gooey marshmallows and crunchy graham crackers. It's a perfect year-round treat that is also allergy friendly. It is fish, nut and wheat-free and can be soy, egg and milk-free (see variations) as long as all of your ingredients are. Note: The gluten-free flour I recommend does not technically contain soy, but it does contain guar gum (see "Soy-Free" under variations for more details) which can cause issues for people with soy sensitivities or allergies, and that is why I will not claim that this recipe is soy-free. 2. Mix butter, sugar, eggs, and vanilla together, until blended. 3. Add to mixture, gluten-free flour, cocoa powder, baking powder and salt, until well blended. 4. Pour into a greased pan (9"x 13"), and bake for 15 minutes. Makes 12 large to 24 average-sized portions. Milk-Free: Use non-dairy butter of your choice, coconut oil or lard in place of the butter in this recipe. I am not sure how these would turn out if you used oil, but you are welcome to try it if you've used oil in homemade brownies in the past and like them made with oil. My guess is that they'd be a lot more dense/fudge-y with the oil. Also, you will have to make sure that your marshmallows and gluten-free graham crackers/cookies are milk-free. 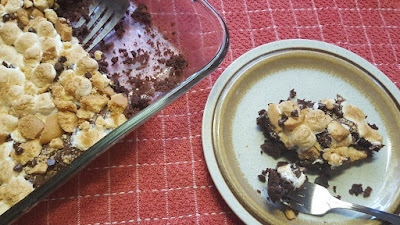 Egg-Free: Use an egg replacer in place of the eggs, and make sure your gluten-free graham crackers and marshmallows are egg-free. For ideas on what to use in place of the eggs, check out my ingredient substitutions page. The flax seed "egg" replacement would be a good fit with this recipe. Soy-Free: Pamela's Gluten-Free All Purpose Flour does not claim to contain soy, but it does contain guar gum, which can cause issues with people who have soy sensitivities and allergies, and hence the reason I won't claim this recipe is soy-free already. You can use regular flour (if you can have it) or a soy-free, gluten-free flour of your choice. Keep in mind that if your blend doesn't contain guar gum or xanthan gum, you may need to add between 1/4 to 1 teaspoons of ground flax seed, guar gum or xanthan gum to help with textural issues, too. You'll have to make sure all of your ingredients are soy-free, too. Alternative Topping Ideas: You can use any chocolate chip, chocolate pieces/candy or combination of those that fits your allergen needs that you wish (dark, white, milk, chocolate chunks, M&M's, Reese's Cups, Snickers, etc.). You can also use vanilla wafers, regular graham crackers, chocolate graham crackers, Teddy Grahams, or other equivalent that fits your allergen needs. 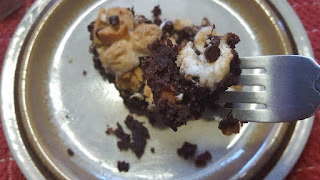 Less Fuss S'more Brownies: You can use any boxed brownie mix that fits your allergen needs for the brownie portion (Enjoy Life makes a great one!). Mix the brownies according to the package directions, and then follow the recipe directions from step 4 onward. 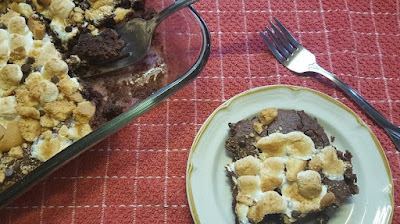 Keep in mind that you are putting the s'more topping on about 1/2 way through the cooking of your brownies, so if the box mix you are using says to cook the brownies in either a smaller pan, at a different temperature and/or for a longer or shorter time, follow the box instructions and adjust the times, pan size, amounts of topping, etc. accordingly (you'll want to 1/2 the amount of topping for a smaller pan). Simple! 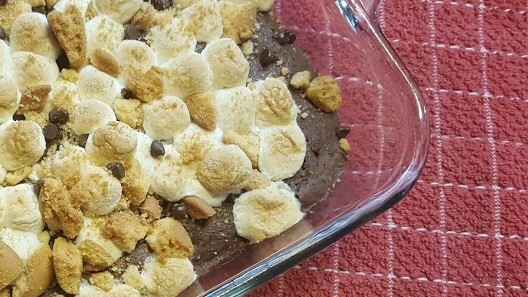 This is the perfect treat to make on a cooler, rainy summer day when you wish you could be outside enjoying a campfire or even on a winter day when you just need a taste of summer. Give them a try! You won't be sorry! Yum!